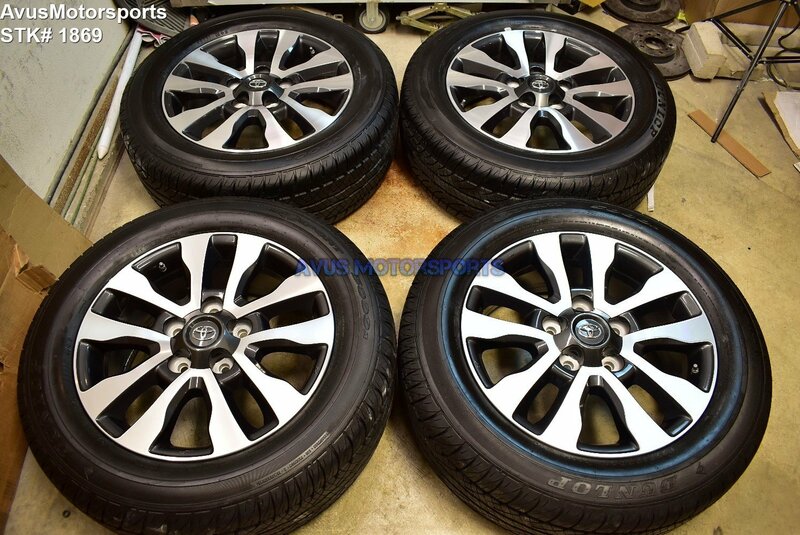 This auction is for a set of (4) 2018 Toyota Tundra Limited Edition OEM 20" genuine factory wheels NOT REPLICA and Dunlop P275/55R20 tires. These wheels and tires were removed from 2018 Toyota Tundra, it was taken off around 500 miles. They're in excellent like new condition, but do expect minor blemishes & scratches (see all pics).